In the latest instalment of our skinflint Meets, we caught up with Kirsty Thomas – founder of Tom Pigeon. 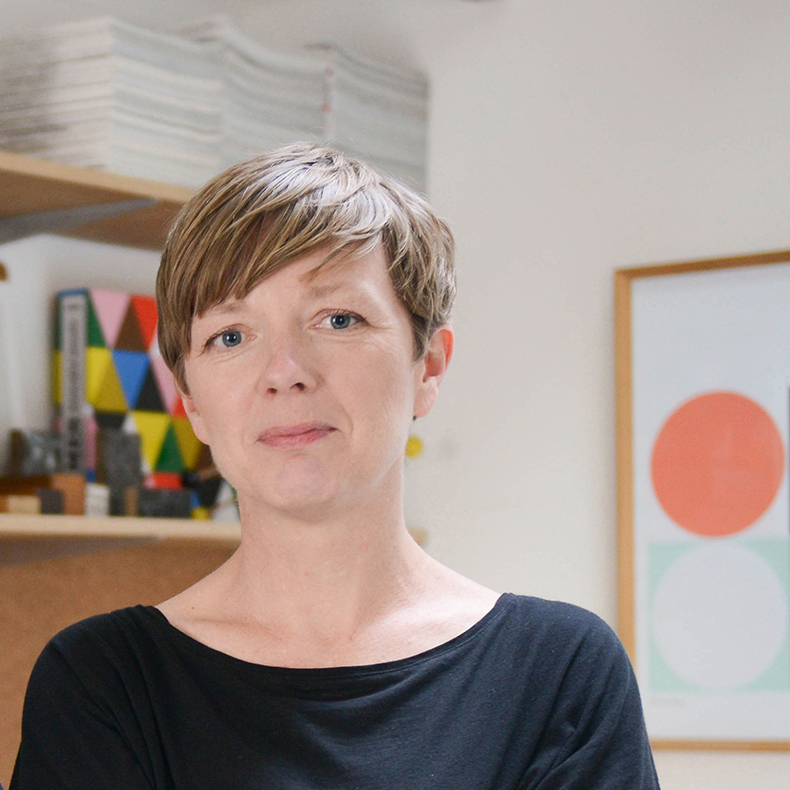 Read on to find out how the company name came about, where Kirsty gets her inspiration from and what’s next for Tom Pigeon. skinflint: Tell us a bit about Tom Pigeon and how it started? And we really want to know how you came up with the name! KT: Tom Pigeon is the pen-name of Kirsty Thomas (Pigeon was a nickname and the “Tom” bit comes from my surname, Thomas.) I guess it allows us a bit of anonymity and someone to blame when things don’t quite go to plan! The studio was established in 2014 by Tom and I, but we have both worked in the design industry for over 20 years. We wanted to create a brand that designs simple, crafted and affordable objects – things that we would want to live with – and didn’t want to be pinned down to one particular discipline or area of design. The current collection includes jewellery, print, stationery, textiles and homewares. We are based on the remote and very beautiful East coast of Scotland and work with shops, galleries and clients around the world. Recently Pete has stepped away from the business to pursue a different path so I’m lead designer at Tom Pigeon now! skinflint: Yours is a truly multi-discipline design studio with products ranging from prints to jewellery. How do you keep such a cohesive look? KT: I have always designed in a multi-disciplinary way and really like the challenge and freedom of create work across different materials and objects. The collection is held together through colour, form and a sense of joy and happiness! That might seem quite vague but so far it has worked pretty well! skinflint: Colour is clearly very important to you. How do you come up with such a carefully curated palette? KT: I love colour and the challenge of creating new palettes. Sometimes it’s about seeing combinations in everyday life and bringing them to my work, other times it’s about developing a palette for a particular brief or project. Living by the sea, there are some great sources of inspiration – coral sunsets against inky seas, the salt-washed colours of old buoys and ropes, the bold colours of the local fishing fleet and ice-cream pastels! However, our work is also very much about white space and how colour can play with this. skinflint: How do trends affect your designs? Do you follow them or prefer to make your own? KT: I try to avoid trends and don’t tend to read too many style magazines as I feel it can influence your work too heavily or you accidentally start referencing other people’s work without realising. I am often influenced more by other people’s approach to design rather than current trends or movements. I love the playfulness of Charles & Ray Eames and the minimalism of Muller Van Severen, and this influences me more than the visual elements of their work. skinflint: Do you have a favourite design from the collection? KT: Currently. 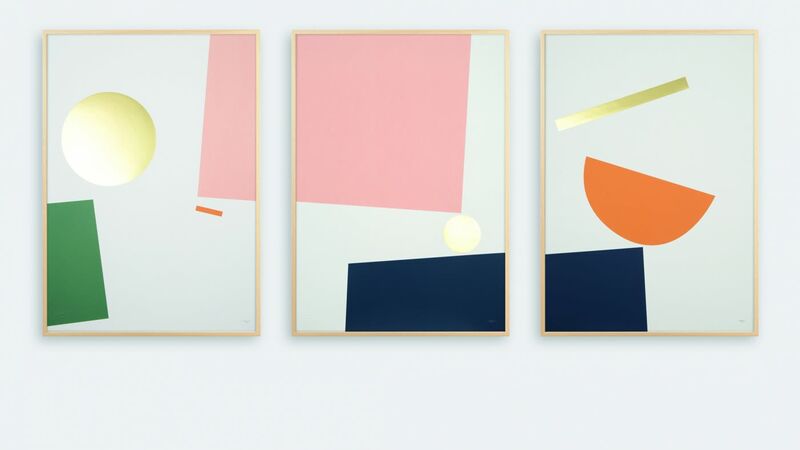 I really love the Balance triptych – it has taken me quite a long time to feel confident enough to pare my work back to a much more minimal aesthetic and I feel this series is a big move towards this. 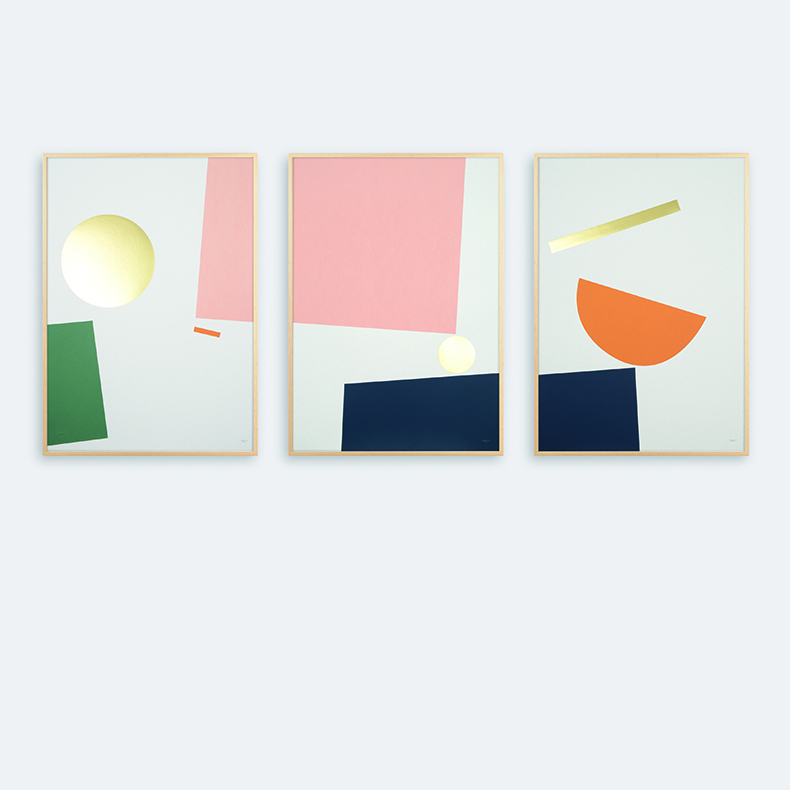 I really like the colour palette and the sense of tension and playfulness created by the different forms. skinflint: Who in the world of design do you truly admire? KT: As I mentioned before I am a huge admirer of Charles and Ray Eames, an amazing couple who worked fearlessly across so many different areas of design and created a really outstanding portfolio of work – everything from splints for the US army to animations, toys, films and furniture. I think this broad approach to design is really exciting and something I aspire to in my own practice. skinflint: What three things can’t you live without? KT: We are currently working on some really exciting collaborations, which will come to life in 2018. I can’t say too much but they involve homewares, ceramic tiles, Picasso and The Barbican (not all in one project!). I have also just opened my first solo show in Edinburgh and would be really keen to take this to some other venues around the UK. I am also really keen to explore certain areas of fashion and literature… Watch this space! skinflint: Finally, please choose three of your favourite lights from the current skinflint collection and tell us why you like them. 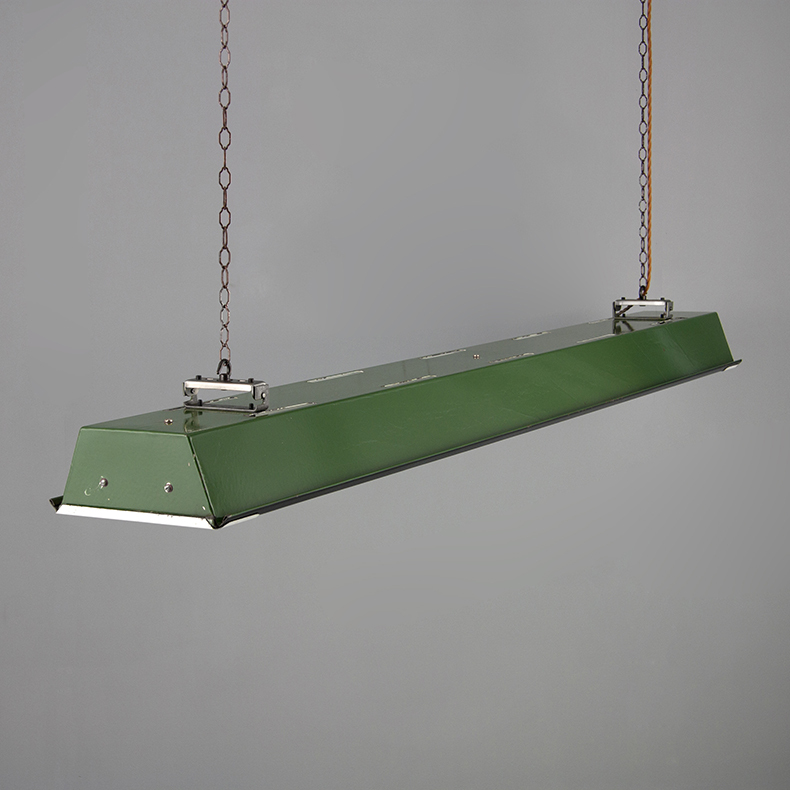 KT: 1950s British Industrial Lights by Thorlux – I love industrial design and the attention to detail on this strip light is really amazing -something rarely found in today’s industrial spaces. 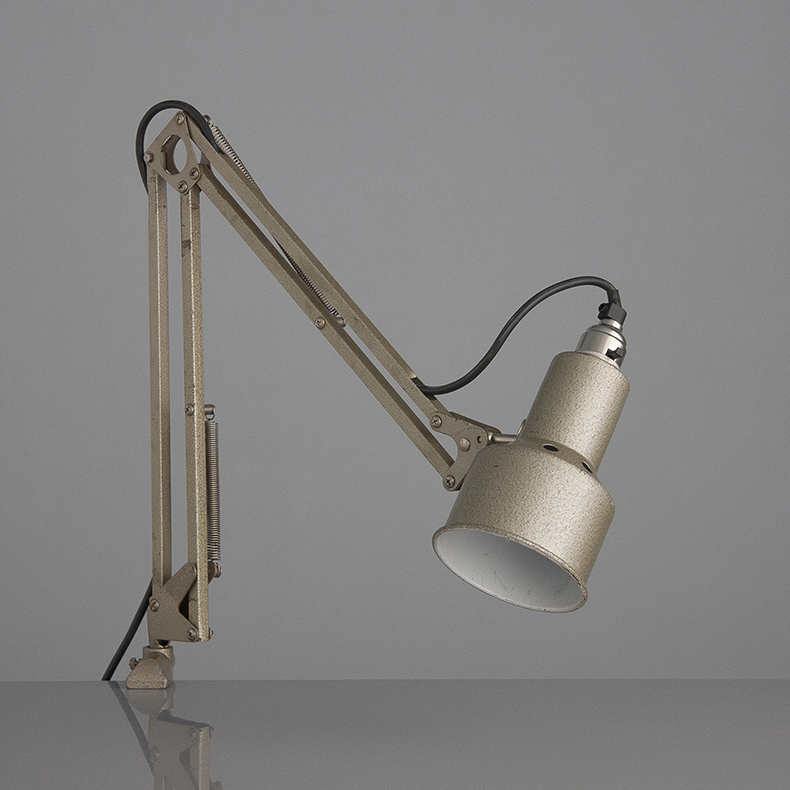 Miniature Machinists Light – I love an anglepoise light and the scale, colour and finish on this little light is really great. 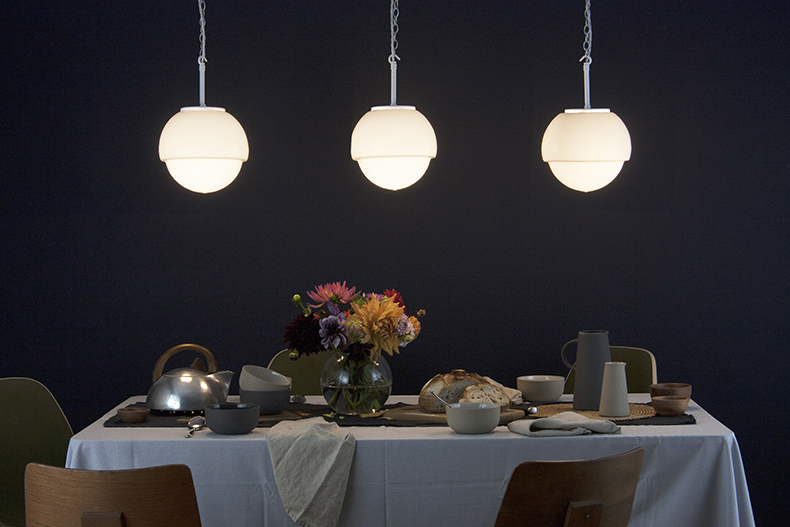 1950s Stepped Opaline Pendant – great domestic light with beautiful form and symmetry.